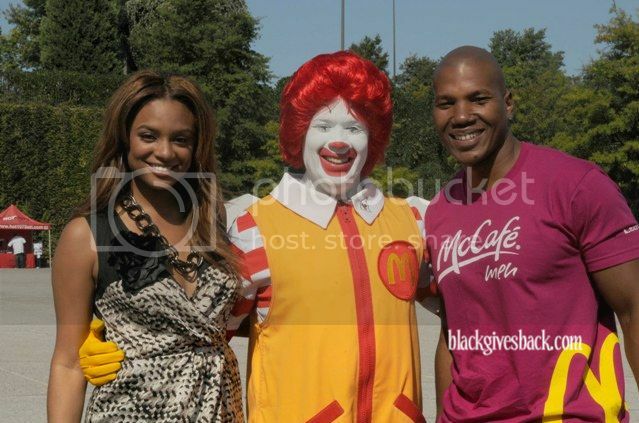 Hosts of the Men of McCafé Search at the Atlanta Classic: BET Personality Alesha Renee, Ronald McDonald and former NFL player Isaac Keys. The Bank of America Atlanta Classic HBCU football game is presented by 100 Black Men of Atlanta as a fundraiser for its mentoring, academic support and scholarship program, Project Success. 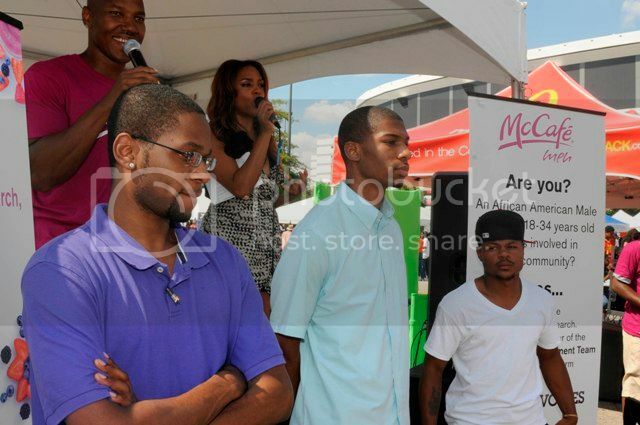 On Saturday, September 25th, McDonald’s launched the inaugural Men of McCafé Search at the Atlanta Classic during tailgating festivities. Hosted by former NFL player and reality star from TV One's The Ultimate Merger (and inaugural Man of McCafé) Isaac Keys, and BET personality Alesha Renee, the duo went on the search to find five community service-minded males who will represent as the official Men of McCafé at the 2011 Essence Music Festival. In addition to signing up for the search, consumers sampled the new McCafé Real Fruit Smoothies and showed their dance moves during a dance off competition. Fans were also treated to a special guest appearance by Lance Gross, actor and star of the television show 'House of Payne,' and Grammy-award winning producer Bryan Michael Cox as host DJ. 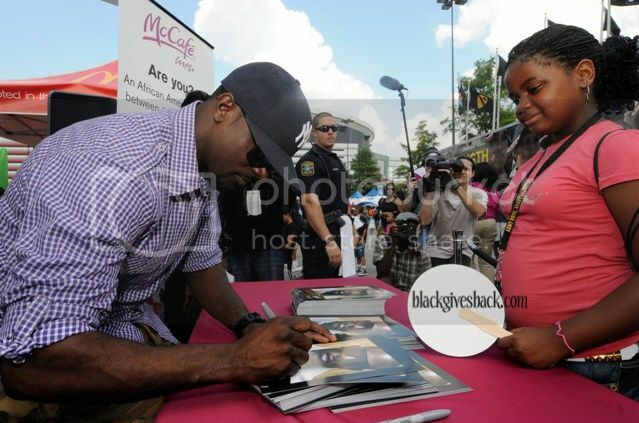 Actor Lance Gross signs autographs for fans. Potential Men of McCafe contestants during a trivia challenge.